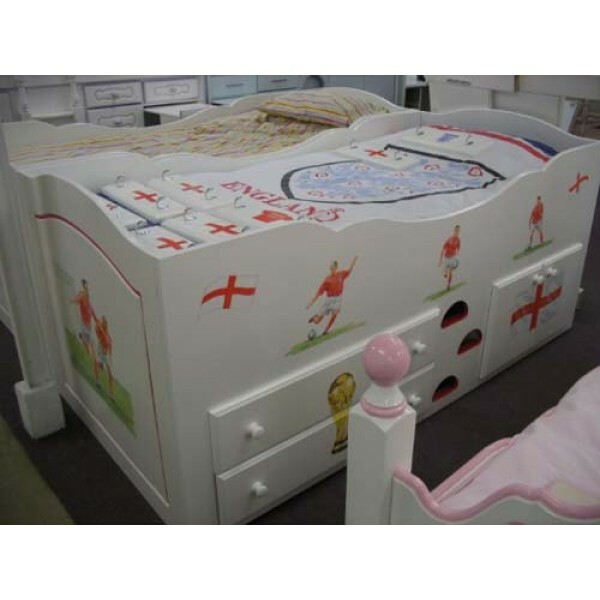 Boy's football cabin bed. Come on England!!! Can you tell who the players are??? Tell us your favourite footballer, we may be able to include him on your bed!! (Also available in other teams).